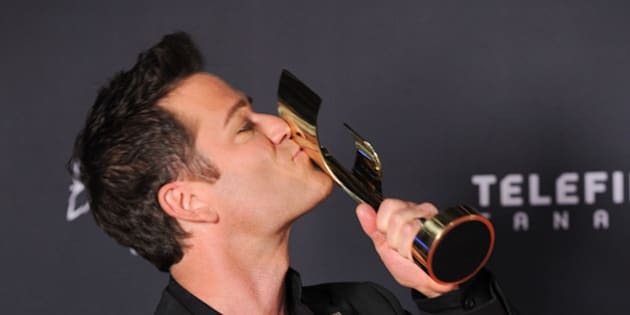 Canadian heartthrob Yannick Bisson won the Fan’s Choice Award at the Canadian Screen Awards last night and no one’s sad about it. Murdoch's Yannick Bisson wins Fan's Choice Award! Who, by the way, was not surprised by the fans’ choice. Bisson’s on-screen wife also showed him some love. But most importantly, Bisson had an announcement to make. “To all the fans that voted, I have something for you. I can officially announce we are doing CBC 'Murdoch Mysteries' Season 10, baby!" Which means more head-scratching mysteries to solve. More of whatever this is. And maybe even some more wet Murdoch? And of course, more of that trusty hat!